Kentdale First Aid Training Centre is based at Gatebeck, near Kendal in Cumbria just 3 miles from Jnc 36 of the M6. We are dedicated in providing a high quality of professional hands-on first aid training to our customers. We provide a wide range of courses to businesses and individuals throughout the UK who need to comply with the Health and Safety (First Aid at Work) Regulations 1981. Courses are led by Andrew and Angie who are both Health & Care Professions Council (HCPC) registered Paramedics and qualified First Aid Instructors. 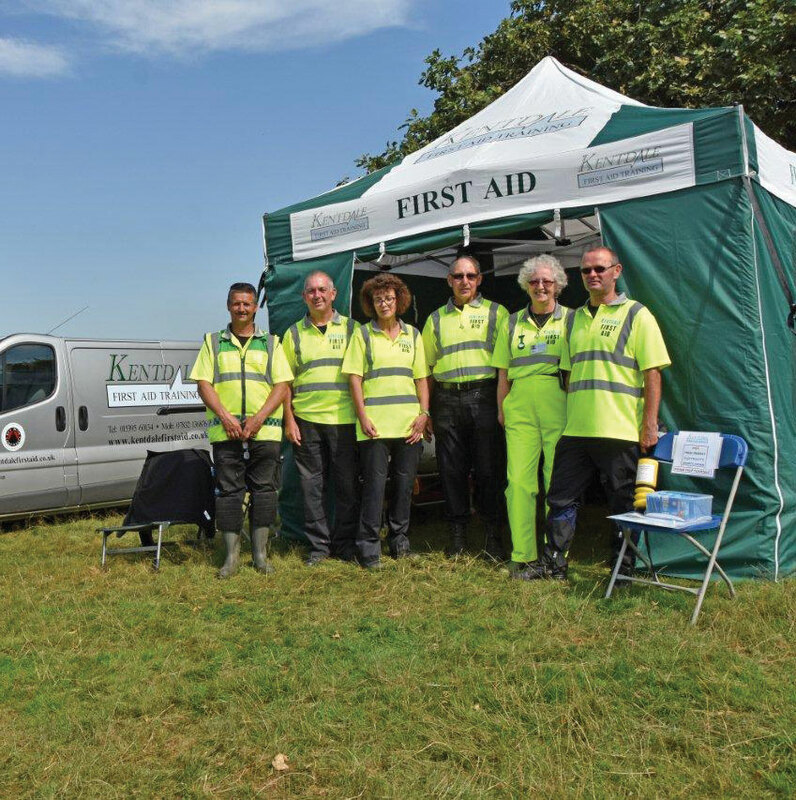 Together they have over 35 years of professional emergency experience and each bring their own particular expertise to the training. designed to be interactive and hands-on. structured to provide knowledge, practical skills and confidence to be able to manage an emergency situation. available in-house and specially tailored for organisations with groups of eight people or more. competitively priced and include a training manual and certification. Kentdale First Aid Training is now Cumbria County Council Trading Standards Approved and is a member of the 'Buy With Confidence' Scheme. Please contact us to discuss how we can help you and your organisation either with training or event support. Andrew joined the Ambulance Service in 1983 and, after completing basic training, took up a position with the Cumbria Ambulance Service as an Ambulance Technician. Qualifying as a Paramedic in 1992, Andrew works for the North West Ambulance Service and is based at Kendal Ambulance Station Cumbria where he continues to work on front line emergency ambulances. He has nearly 29 years experience with St. John Ambulance Cumbria as a volunteer; he has trained as an Instructor and Assessor for Operations and trains members across the county. Until recently Andrew was the Divisional Superintendent of a busy division and served as the County Ambulance Officer for Cumbria. Andrew received an award presented to him in the House of Lords for exceptional service to St. John Ambulance for his actions during the height of the Cumbria floods of 2009. Since 1999 he has dedicated his remaining spare time to teaching and assessing Basic Life Support and Automated External Defibrillation skills to Community First Responder teams across South Cumbria for the North West Ambulance Service. Andrew is one of the principal instructors of Kentdale First Aid Training and brings his many years of professional hands on experience to the classroom. Angie and Andrew jointly hold the position of Medical Officers for the Westmorland County Agricultural Society. Angie became a North West Ambulance Community First Responder in 2003 and progressed to become a Field Trainer with the Community Resuscitation Team for the North West Ambulance Service. This allows her the opportunity to train in her own and other local teams as well as gaining a vast amount of hands on experience answering emergency calls to patients with life threatening conditions. Having trained as a British Heart Foundation Heartstart and Schools Instructor, Angie trains school staff to deliver emergency life support skills to pupils from 5 years of age. On joining St. John Ambulance, Angie quickly became registered as a First Aid Trainer and Assessor for Operations and trains members across the county. Angie is also a qualified Emergency Transport Attendant within the organisation. Angie received an award presented to her in the House of Lords for exceptional service to St. John Ambulance for her actions during the height of the Cumbria floods of 2009. Angie has been involved in a wide variety of events with St. John Ambulance and until recently she served as Child Protection and Vulnerable Adults Officer on the County Staff. A key element in this role was the training of volunteer staff throughout Cumbria. Angie is also an Enhanced Community First Responder for the North West Ambulance Service and responds to a wider range of emergency incidents as a volunteer. Having worked for the North West Ambulance Service for a number of years, as an Emergency Medical Technician, Angie has completed a period of study at the University of Cumbria and is now a HCPC registered Paramedic.